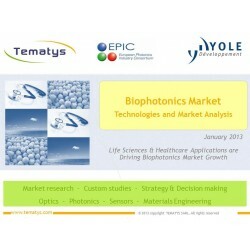 Life sciences & health applications are driving biophotonics market growth. 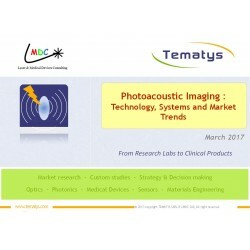 New technologies based on photon interaction with tissues will expand the biophotonics market from $23B in 2012 to $36B by 2017! 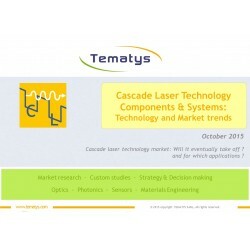 Emerging technologies and applications will make biophotonics a $36B market by 2017! The biophotonics market is estimated to grow from $23B in 2012 to $36B by 2017, with strong CAGR increases for emerging opportunities in imaging and sensing modalities. Once limited to hundreds or thousands of units/year in high-end desktop devices for life science and healthcare applications, biophotonics today has the potential to be a part of cost-effective devices targeting million-unit markets and open doors for new entrants. 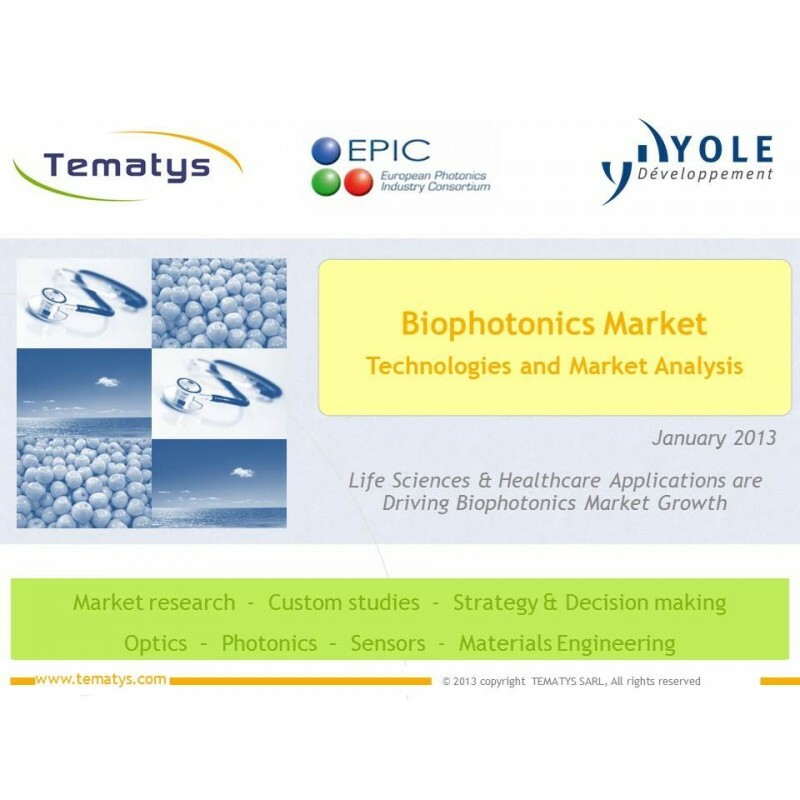 This report provides extensive market data in $M from 2011-2017, at different levels: from the total biophotonics-related market and the biophotonics system market to the biophotonics components and modules market. Over the last 20 years, Europe has faced increased growth of the pensioner population, recurrent epidemics, and economic issues linked to unsustainable, unbalanced healthcare systems. Today, healthcare is moving from a treatment-oriented system to a diagnostic oriented one, the end-goal being companioned diagnostic, which is promising but still far away. The food sector faces growing demand for safer and healthier food, increased risk of epizootic diseases and food-related disorders, and threats to sustainable agricultural and fish production. All of these issues have in common a strong need to study real-time evolution of complete living organisms, or part of them (tissues, organs, cells, proteins, DNA, etc.). 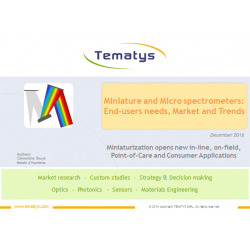 “Therefore, it’s essential to develop technologies for quality and process control, as well as rapid microbiological methods suited to the entire production system”, says Jacques Cochard, Founder of Tematys. 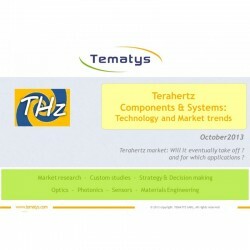 After providing exclusive market segmentation, this report details the market drivers and technology trends for each application. One specific report section describes the following emerging applications: agri/agro food, personalized medicine, and home care. 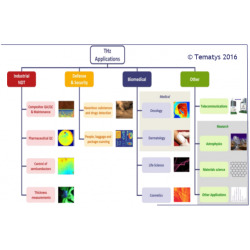 Driven by these opportunities, numerous scientific fields have emerged in laboratories over the last 10 years: Raman imaging and sensing, photoacoustic tomography and microscopy, Terahertz imaging, and others. These sectors have benefited from huge telecommunications investments in sources, detectors and fibers developments (handheld spectroscopy, cytometry and microscopy on a chip, high-power fiber lasers for dermatologic treatments, photoacoustic imaging, enhanced sensibility in fluorescence-based tests, etc.). Biophotonics products have become increasingly rugged and cost-effective, spurring a migration from life science and healthcare applications to agro-food and environment control and monitoring. Also presented in this report is a specific overview of portable biophotonics technologies for in-vivo imaging and in-vitro analytic & sensing, along with a technology roadmap. New opportunities are changing biophotonics’ entire makeup. Former markets like microscopy, spectroscopy and medical imaging, all of which dealt with bulky and expensive systems, were mostly closed to new entrants. These markets’ key value was, above all else, a large installed systems base. 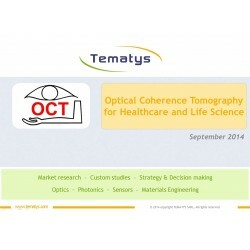 By leaving labs and hospitals and spreading to operating rooms, general practitioners’ offices and in-line/at-line industrial control, new cost-effective photonics technologies driven by fast-growing newcomers have in the last 10 years changed the rules. In addition to a supply chain analysis, this report provides market access information (investment required, regulation aspects) and average time for market entry, depending on application.